The book, now in its second edition, aims at equipping the reader with the necessary tools for building a career in public relations and also assisting him or her in becoming an effective Public Relations Manager. The book strives to cater to the different areas of public relations, such as public relations in banks, tourism, NGOs, public transport, municipal government, media and global public relations. In this text, Professor Narasimha Reddi compresses within the covers of a single volume his many decades of teaching and professional experience. He gives a masterly exposition of the theory and best practices of the profession. Divided into six parts, the second edition focuses on the application of Internet and social media in the practice of Public Relations. It contains six new chapters and five new case histories, which are in tune with changing needs, as well as an epilogue projecting Mahatma Gandhi as the world greatest Public Relations communicator. The book is primarily intended as a text for students of Public Relations, Journalism, Mass Communication and Advertising. In addition, it should be of great benefit to the teaching community and public relations practitioners.New to This EditionIncorporates five new Case Studies reflecting current trends in PR and Advertising Preface. Part One: Principles of Public Relations and CommunicationWhat is Public Relations? Communication. Evolution of Public Relations. Principles of Public Relations. Strategic Public Relations.Public Relations Departments and Agencies. Part Two: Public Relations Practice Public Relations Process: Four Stages.Corporate Public Relations vs. Corporate Communications. Stakeholders Relations.Crisis Management and PR.Public Relations in Government. Public Relations in Police, Banks and Tourism.Public Relations in Public Sector, Municipal Government and Public Transport. Public Relations for NGOs and Political Parties. Global Public Relations and Future of Public Relations.Professional Organisations. Part Three: Media Strategy Public Relations and the Media Interpersonal Media. Newspapers in Public Relations.Visual Media: Photographs and Exhibitions. Electronic Media: Radio and Television.Audio - Visual Media: Films.E - PR: IT New Mass Media. Traditional Folk Media. Multimedia PR Campaigns.Media Relations.Guidelines for Effective Writing. Part Four: Effective Public Relations How to Be a Good PR Manager. Part Five: Historical Indian Perspective of Public RelationsThe Origins and Development of PR in the World Largest Democracy (1500 BC2009 AD). Part Six: Action SpeakCase Studies. References. Index. 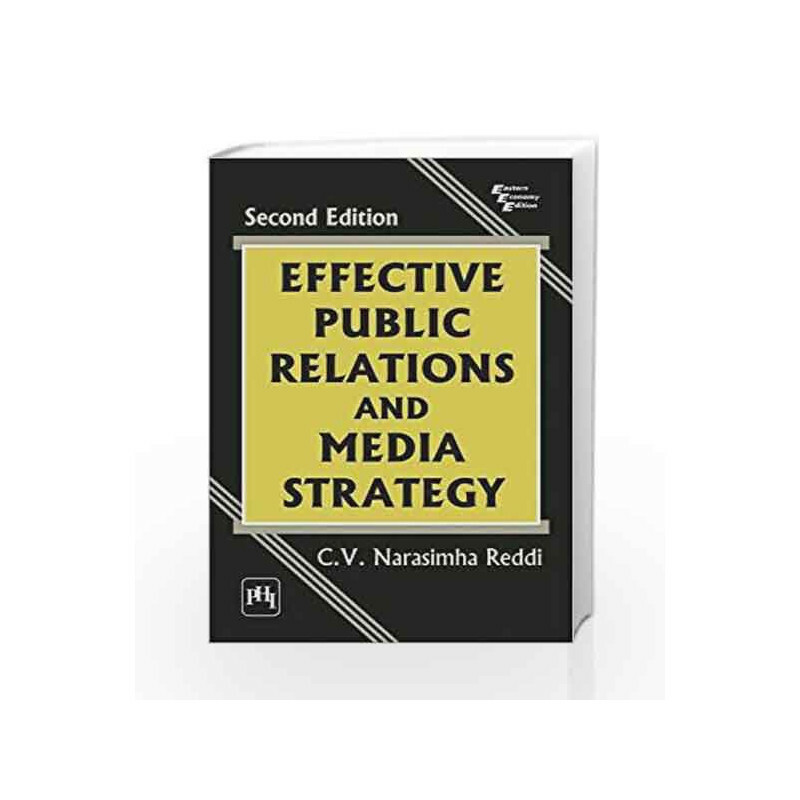 Effective Public Relations and Media Strategy Book is not for reading online or for free download in PDF or eBook format. 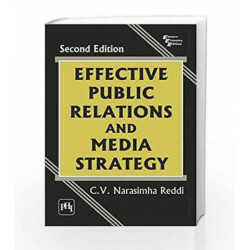 Table of Contents,Index,Syllabus,summary and image of Effective Public Relations and Media Strategy book may be of a different edition or of the same title.